I only spent a day there and chose to wander the grounds without a guide so that I could absorb the special feel of the place in my own way. 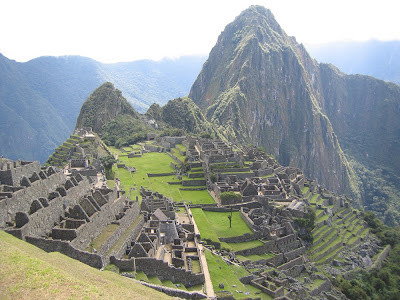 What is that special feel? 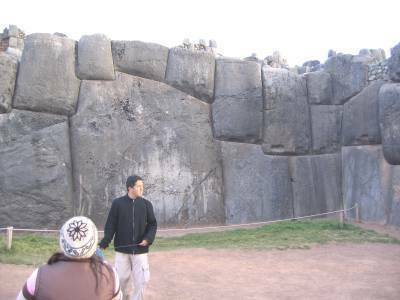 I guess the best way I can describe it is a sense of gratefulness that an ancient people took the time and energy to glorify this natural setting in a way that did not despoil it but enhanced it. 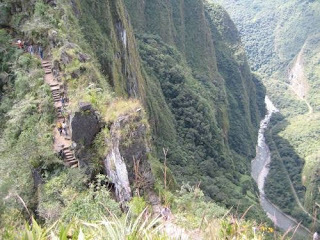 All that was man made was wrought of natural materials, and all that was built was designed to glorify nature rather than subdue it. 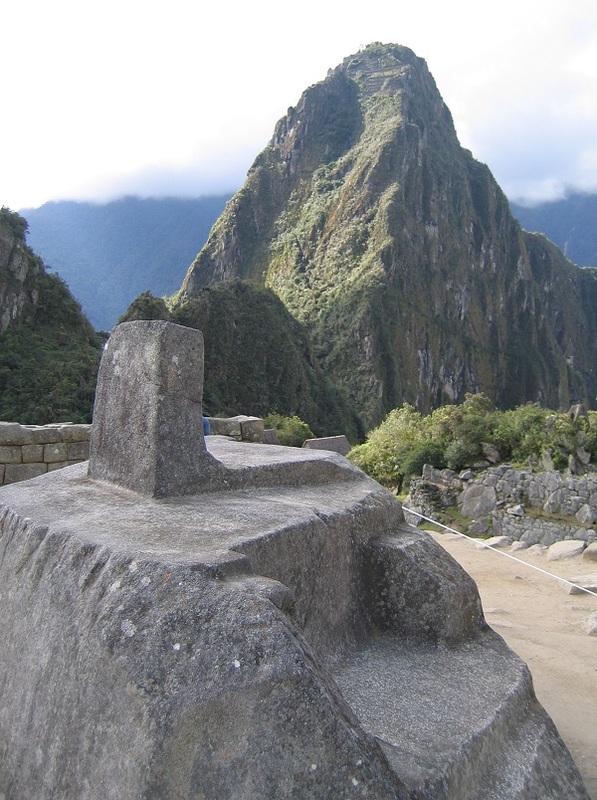 The focal point, the Intihuatana has been described as an astronomical marker but it and other carved stones around Machu Picchu are also scale models--physical representations of the prominent peaks as viewed from the site. 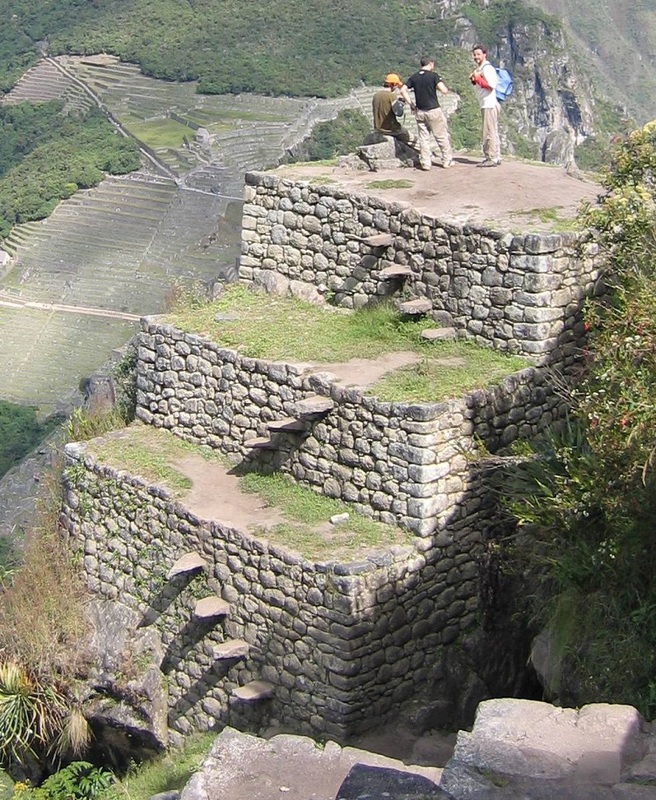 Note in the photo below the low spur on the right top of the carved stone which mirrors the extended spur to the right of Wayna Picchu behind. 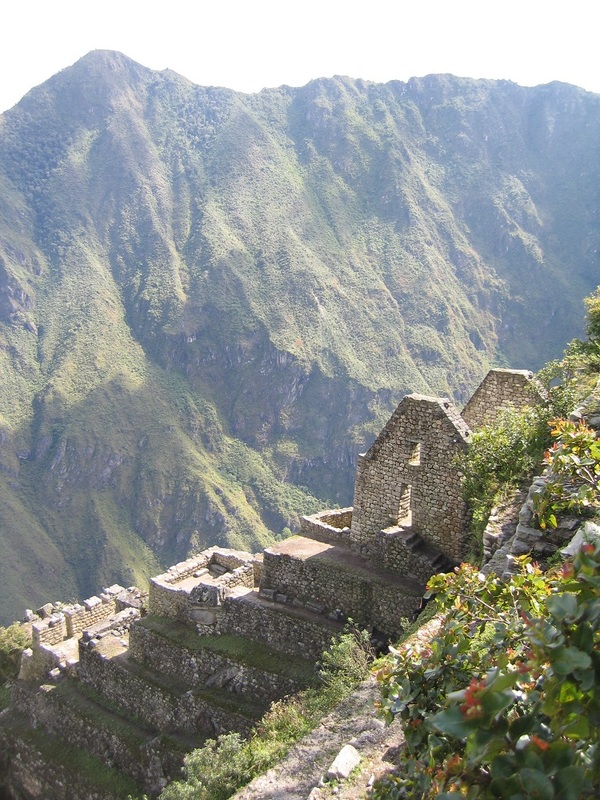 There are many ruins clinging to the upper slopes of Wayna Picchu, and some of the sacred 'scale model' stone shrines as well. 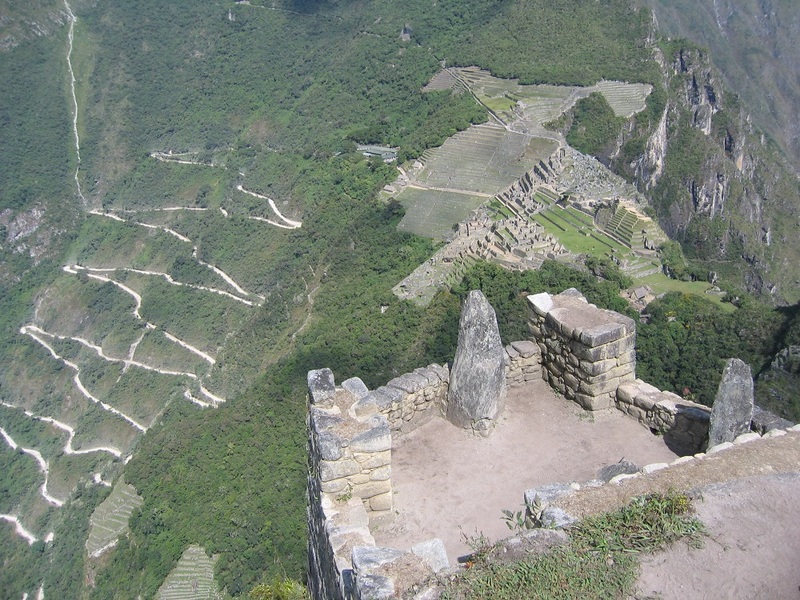 The third of the photos below shows two such stones along with a view down on the main Machu Picchu grounds from high on the mountain. 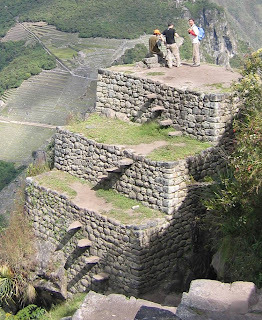 It gives you an idea of the precarious switch-back bus ride necessary to reach it. It was a long day. I came to Machu Picchu by train from Cuzco and returned late that evening. 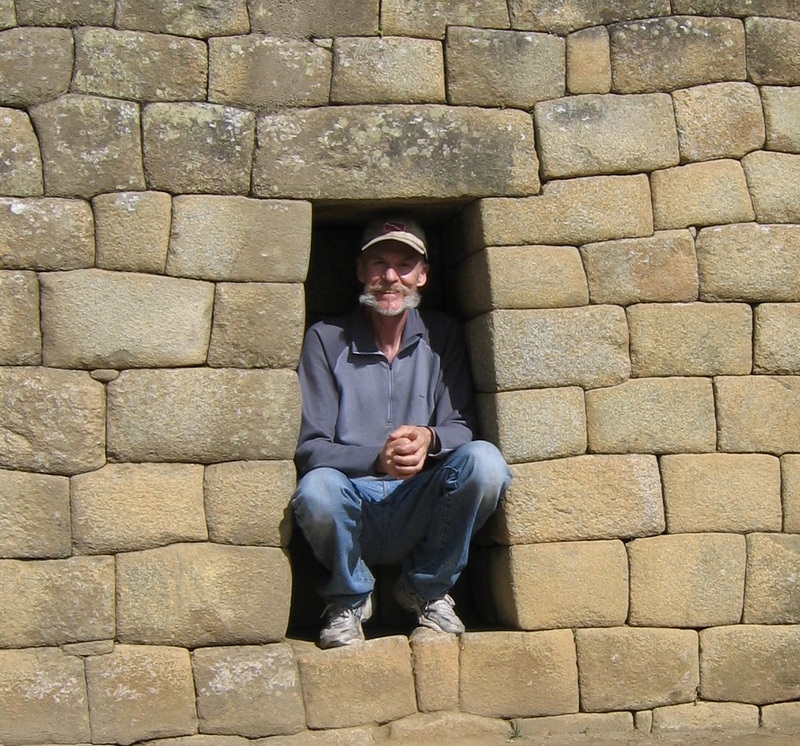 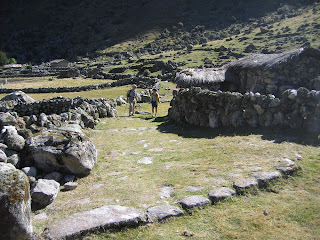 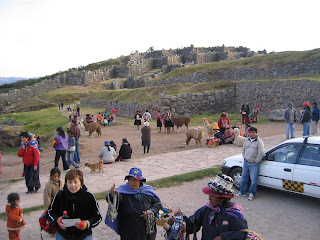 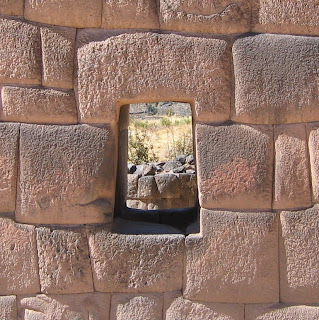 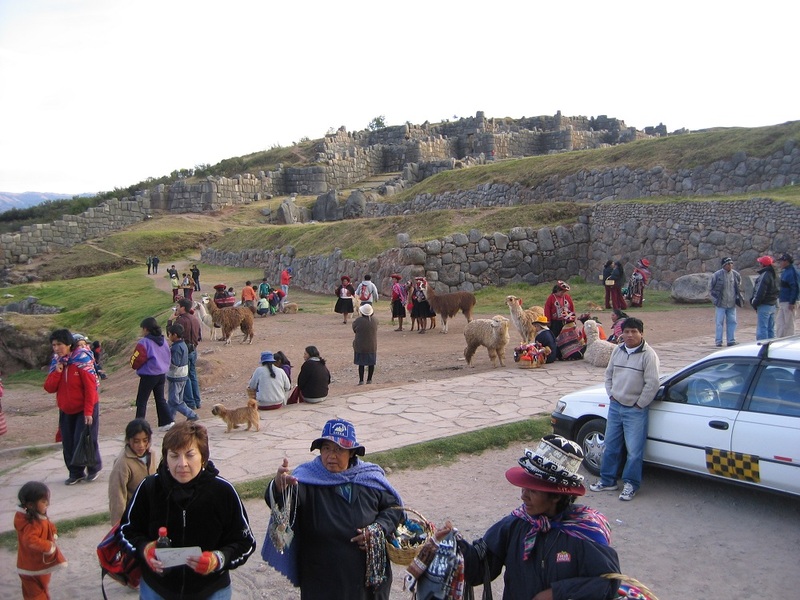 While in Cuzco I had the opportunity to visit several other Inca sites that feature the dry-stone masonry. 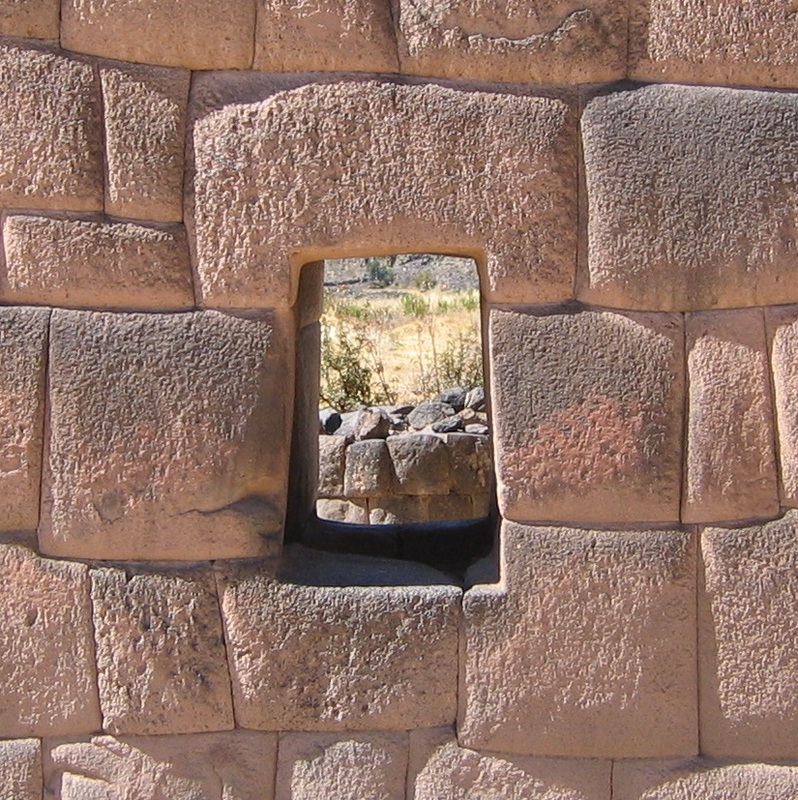 Here's a detail view from one of these sites, called Raqchi. From Cuzco I traveled south to Bolivia by bus, and in Bolivia I had an opportunity to trek one of the lesser used Inca Roads, far from any tourist destination and so untrampled (the famous Inca Road trek to Machu Picchu is today a well-worn path), still perfectly preserved many centuries after it was built. 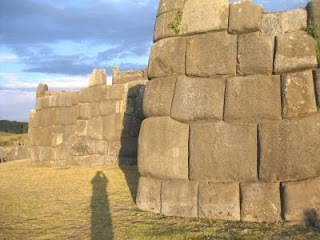 Here are two photos. 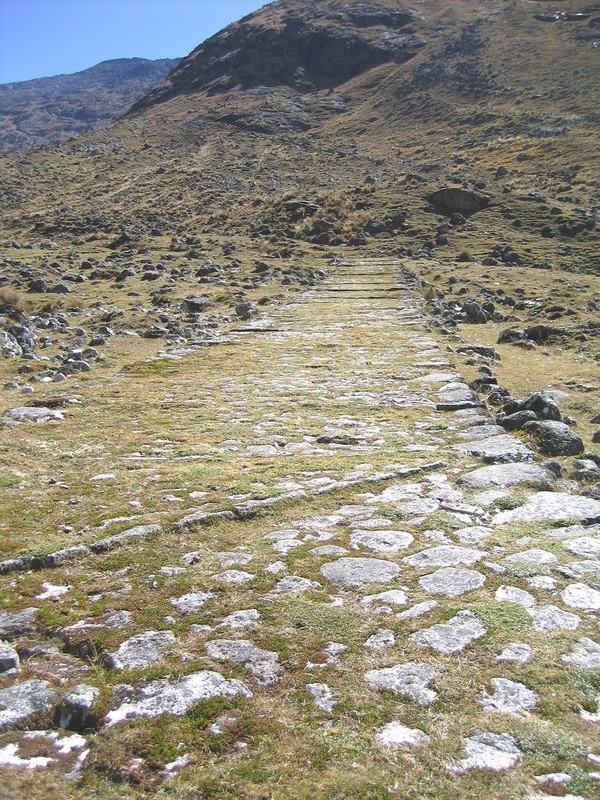 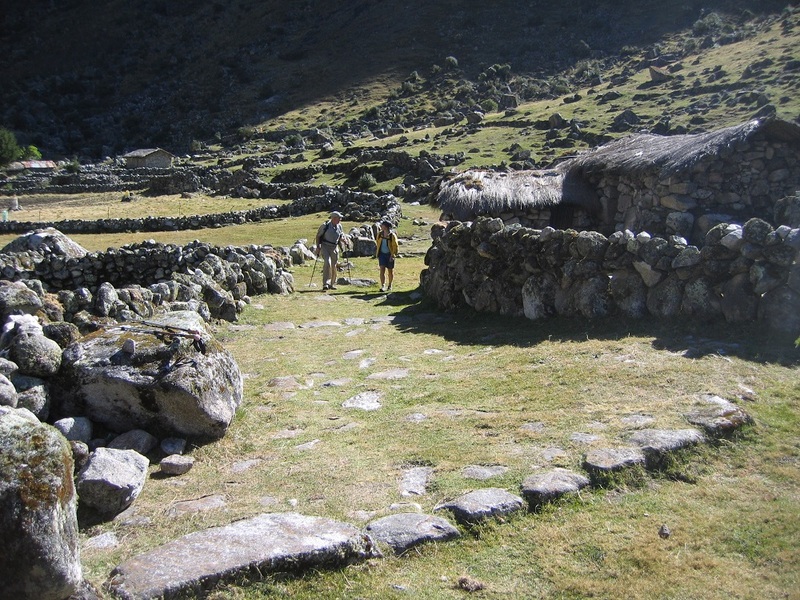 The second is especially impressive to me because it is taken in a tiny village called Takesi which has no electricity and no access by any conventional road--only via the ancient Inca Road, built by a culture that did not have the wheel. 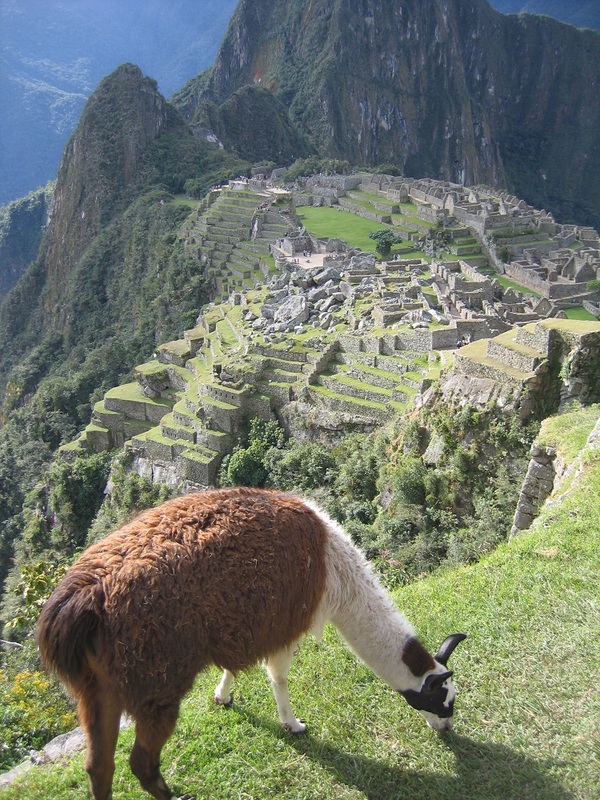 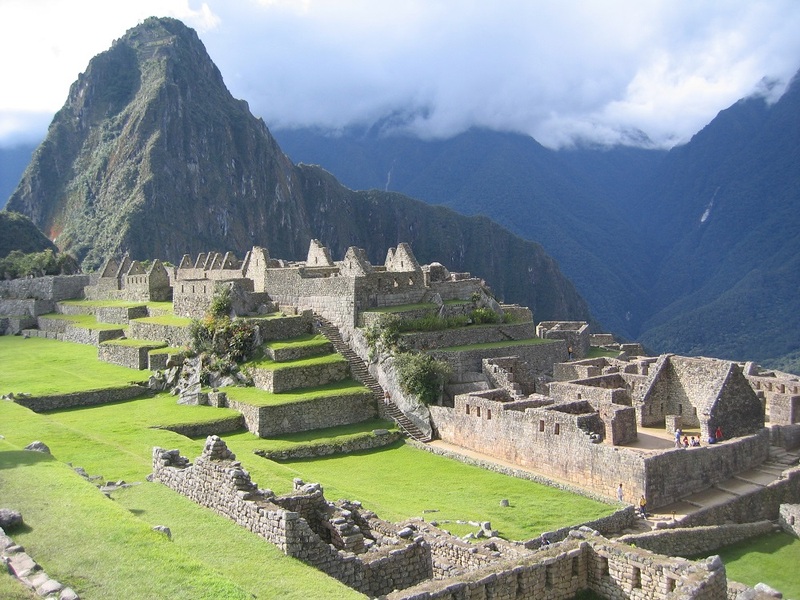 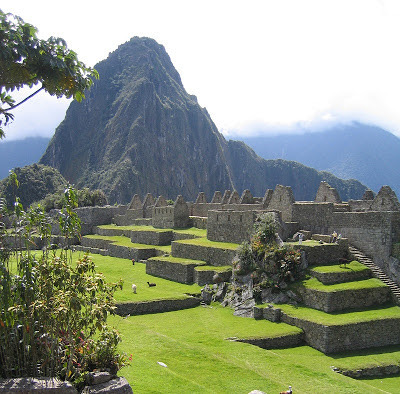 Since 2011 the number of visitors to Machu Picchu has been limited to 2500 per day. 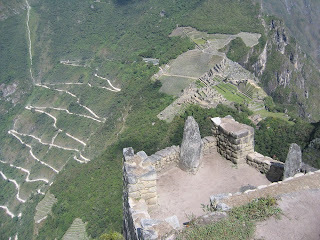 It's one of those fragile places that was being 'loved to death'. Make your reservations early.